The children will be having Christmas dinner in school on Friday 21st December. 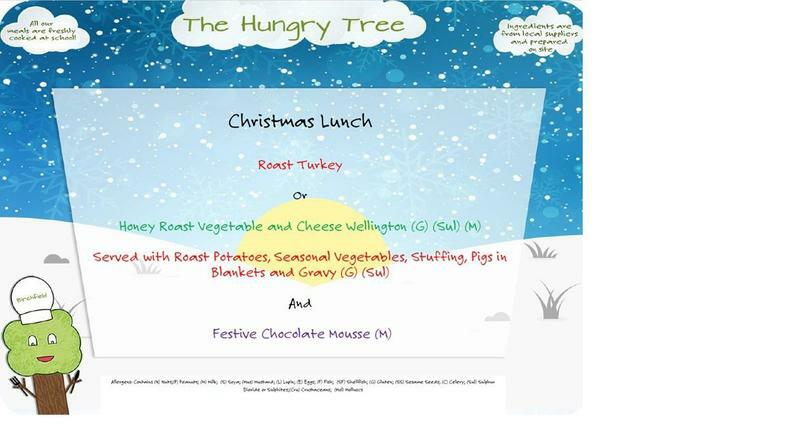 We will order Roast Turkey and Festive Chocolate Mousse for all children who have a hot meal in KS1. Please tell your teacher, by Friday 23rd November, if you would prefer the vegetarian option. KS2 children can order the Christmas dinner for £2.40. Please send your money into the school office in an envelope, clearly marked with your child's name, class and menu choice, by Friday 23rd November.